From the ancient ports of Egypt to the local pharmacy, senna has been - and continues to be - used effectively to relieve digestive problems. 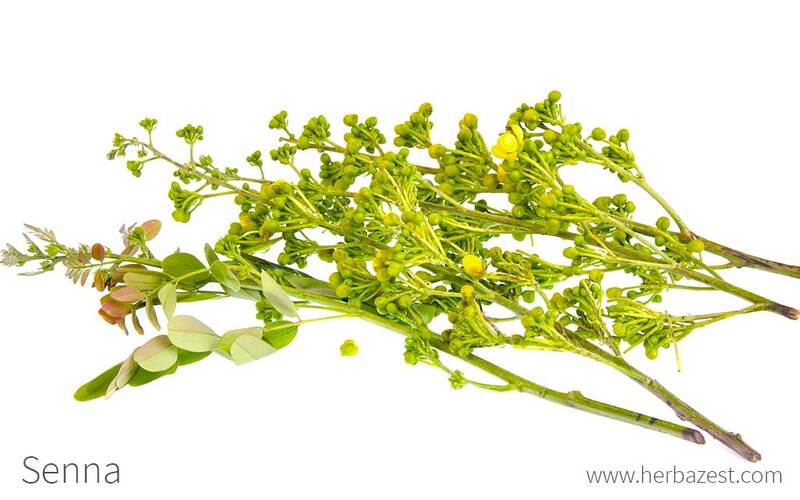 The medicinal senna is obtained from several species of Cassia, such as Cassia italica, Cassia angustifolia (Indian Senna), and Cassia acutifolia (Alexandrian Senna). Senna gets its name from the famous historical port that first commercialized it. Thought to have originated in regions of northeastern Africa like Nubia and Sudan, senna's fruits and leaves are known to have first been shipped to the Egyptian metropolis and from there to Europe and Asia. Across its native regions, senna has been touted as a powerful herbal remedy for centuries. Both modern and ancient times have seen the herb used as a natural laxative, as it offers relief from constipation. Thai and Laotian cuisines have also adopted the plant, using the leaves and flowers in some curries. Relieving constipation. Senna stimulates colonic transit, promoting bowel movements. Senna works as a laxative because of its anthraquinones. These anthraquinones include sennosides, aloe emodin, and chrysophanols - and they all have laxative properties. These compounds stimulate bowel movements by irritating the colon. Senna's laxative action can also be used to clean out the bowels in preparation for a colonoscopy. Other herbs that also help regulate intestinal transit are psyllium and tamarind. The laxative properties of senna can have negative effects on the intestines and cause discomfort, nausea, and stomach cramps. Like other laxatives containing anthraquinones, senna is only intended for short-term relief from constipation - that is, no longer than two weeks at a time - as the bowels can become dependent on it. Rectal bleeding and electrolyte imbalance can be some of the more severe side effects. Those with diarrhea, dehydration, loose stools, abdominal pain, heart disease, Crohn's disease, ulcerative colitis, or hemorrhoids should not take senna. This herb should not be mixed with birth control pills, hormone therapy, warfarin, digoxin, diuretic drugs, horsetail, licorice, or other anthraquinone-containing herbs, such as cascara sagrada. Senna should not be used in children under the age of 12. Dried. The leaves of senna are commonly used in this form for preparing home remedies to improve bowel movements. Infusion. Steeping senna leaves in hot water is the most common way to consume to herb. It is sometimes mixed with ginger and cloves. Tincture. This is a concentrated solution obtained from macerating senna leaves and fruits in alcohol. Few drops need to be diluted in water before consumption. Syrup. Senna syrup is the preparation that tends to be used in younger people thanks to its sweet taste, though senna should not be taken by children under 12. Capsules. Supplements are the surest way to consume a consistent dosage of senna's anthraquinones. The plant's availability often depends upon regional factors. As a living shrub, it is more commonly found in areas where it grows naturally, like northeastern Africa and subtropical eastern Asia. Western consumers, however, may be able to find it in garden stores or seed suppliers. Senna leaves are easier to find as a tea in specialized health stores as well as through online retailers. Thanks to recent approval from the FDA, senna herbal remedies and supplements are more widely available than ever before, in major pharmacies and specialized health stores may also carry the product, as well as through various online retailers. Harvested semi-annually, senna can thrive in a range of conditions and soils, though a good drainage system is necessary. The soil should range from 7.0 - 8.5 on the pH scale, so loams and alluviums are good options. Several hours of bright sunshine daily will allow the shrub to reach its full potential, while irrigation and weeding will keep invading species at bay. To process leaves, plants are cut down and dried in the sun. Senna is a shrub that grows an average of 6.5 feet (2 m) in height and boasts branching stems, each bearing four to five leaves. Its flowers are big and yellow, while its fruits are oblong and flat, classified as legume pods. Senna (Cassia senna) is a member of the Fabaceae family, a classification it shares with about 19,400 species of flowering plants spread out over 730 genera, including economically important crops such as alfalfa (Medicago sativa), beans (Phaseolus vulgaris), fenugreek (Trigonella foenum-graecum), and soy (Glycine max). Cassia italica, also called Italian or Port royal senna, used in natural hair coloring. Cassia armata or desert senna. Native to Arizona and California, and hardy from Zone 4 to 7. Cassia fasciculata, or partridgepea, and C. occidentalis, known as coffee senna, are common roadside weeds in eastern and mid-North America. Cassia marilandica, also known as American senna or Indian senna. Cassia acutifolia or Alexandrian senna, which include a variety that also grows in the wild: C. obtusifolia L. or wild senna. Senna's powerful flushing ability has been put to use mainly as a source of anthraquinones, the active ingredient in many modern laxatives. In addition, it has seen a rising use in the pharmaceutical industry after the plant was used to isolate resveratrol, a compound of rising importance. Nowadays, the center of senna production is located in India, where it is a major alternative crop with a rapidly increasing demand. Gardening. Considered beautiful for its big, yellow flowers, senna is sometimes merely ornamental, found in many gardens in regions where the climate allows. Dye. The plant has also been used successfully as a natural hair dye that turns locks blonder.